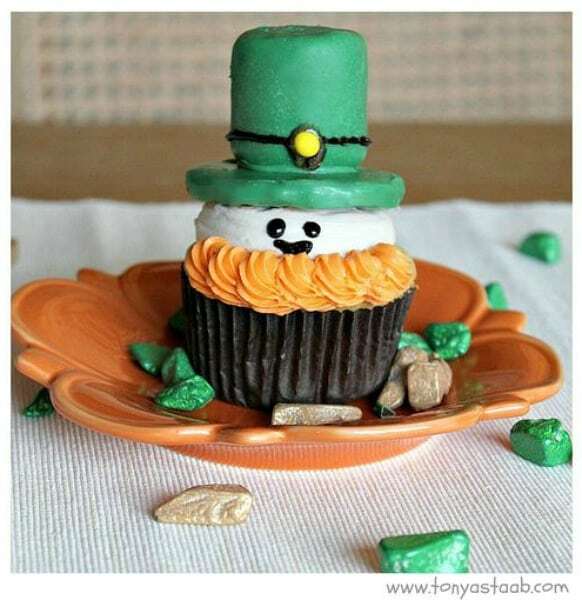 All of these St. Patrick’s Day cupcakes & cakes are making me drool! Desserts are my favorite part of any celebration! In this collection of creative ideas, we’ll share links to cakes, cupcakes and cake pops perfect for St. Patrick’s Day. Interested in reading more about a particular dessert? Simply click on the title and it will open up in a new window for you. 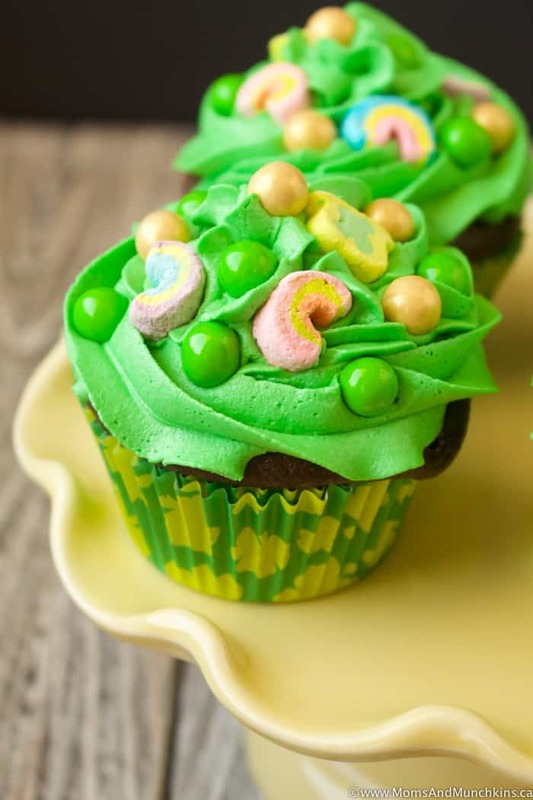 Let’s start with a St. Patrick’s Day cupcake idea you’ll find here on Moms & Munchkins – Hidden Treasure cupcakes! Yes, a cupcake filled with “gold” chocolate and Lucky Charms marshmallows! 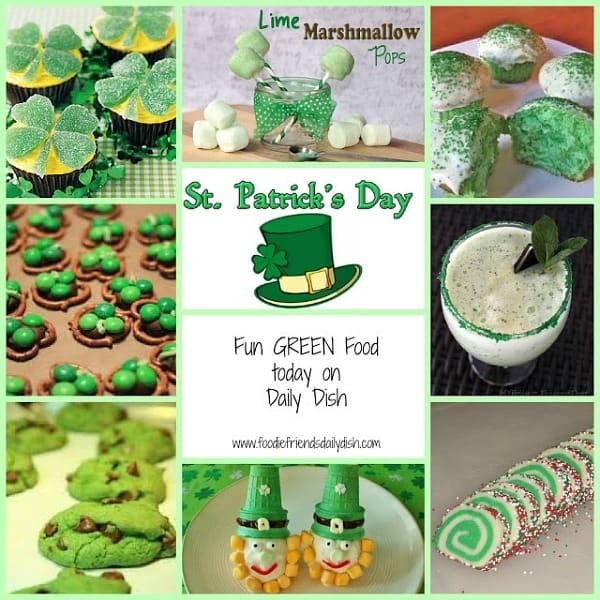 Don’t forget to visit our St. Patrick’s Day page for more delicious desserts, Irish meal ideas, free printables, activities and more! 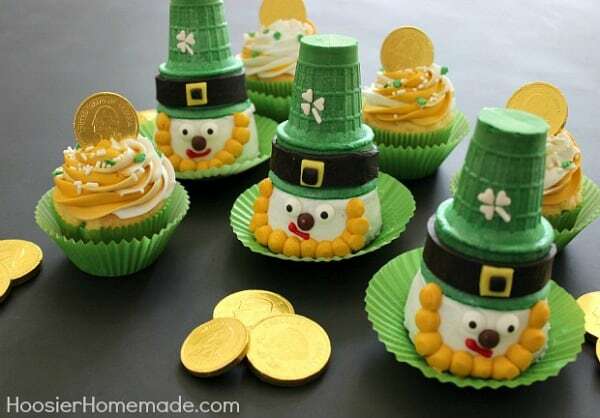 These leprechaun cupcakes by Hoosier Homemade are absolutely adorable! She provides an easy to follow step-by-step guide for making your own delicious leprechauns. 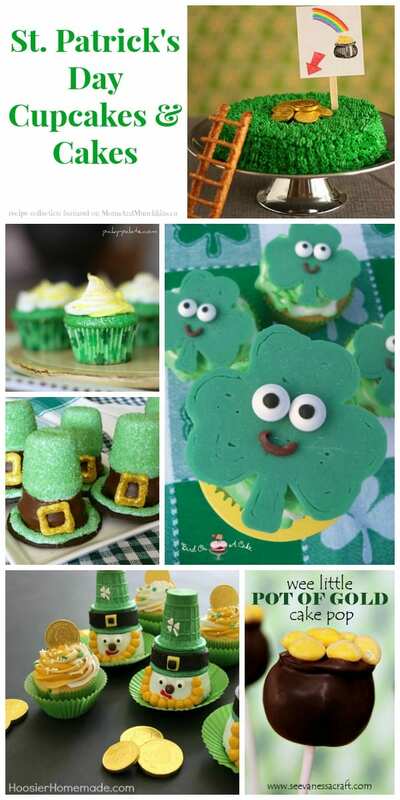 Speaking of leprechauns, check out these adorable little leprechaun cupcakes on Create-Celebrate-Explore! These Lucky Green Velvet Baby Cakes by Picky Palate may be tiny but they sure do look delicious. Mini means I can eat more of them without the guilt, right? 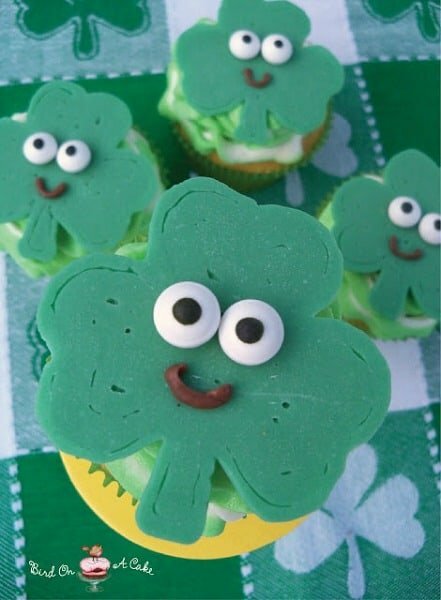 These shamrock cupcake toppers by Bird on a Cake are absolutely adorable! The tutorial includes a free printable template for making your own shamrock toppers. 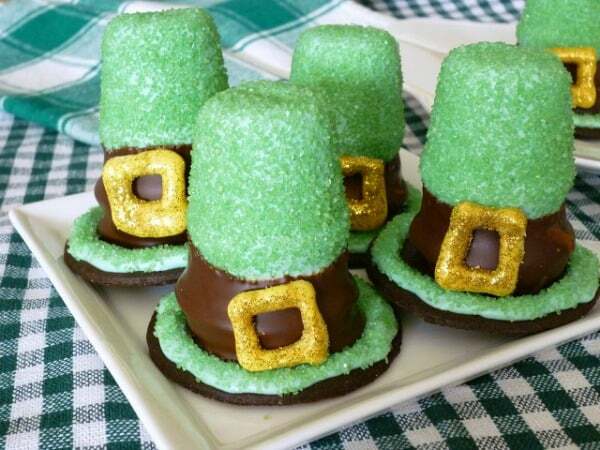 Do you know what’s inside these leprechaun hats? Cupcakes! Sweet Simple Stuff shows you how to create your own. You’ve all heard of leprechaun traps, right? 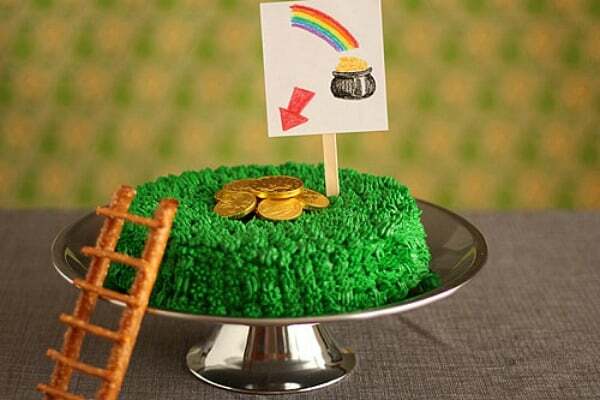 Well how about a leprechaun trap cake with rainbow filling? This cake by Not Martha has to be the most delicious leprechaun trap I’ve ever seen! 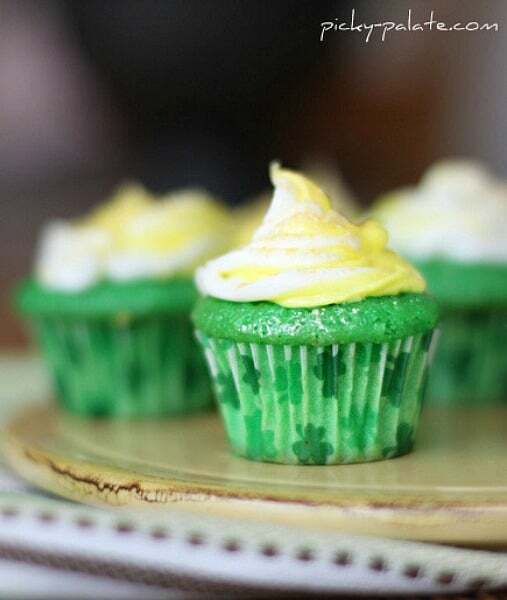 I love the cute Shamrock Cupcakes featured in this St. Patrick’s Day Dessert roundup post in Daily Dish Magazine. These pot of gold cake pops by See Vanessa Craft are so sweet! I don’t know anyone who would turn down a pot of gold! 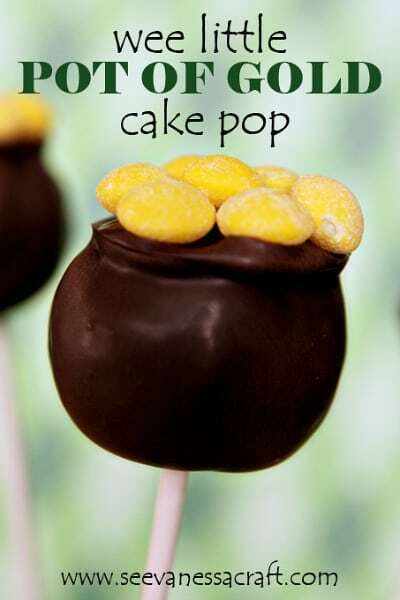 Looking for more cake pop ideas? 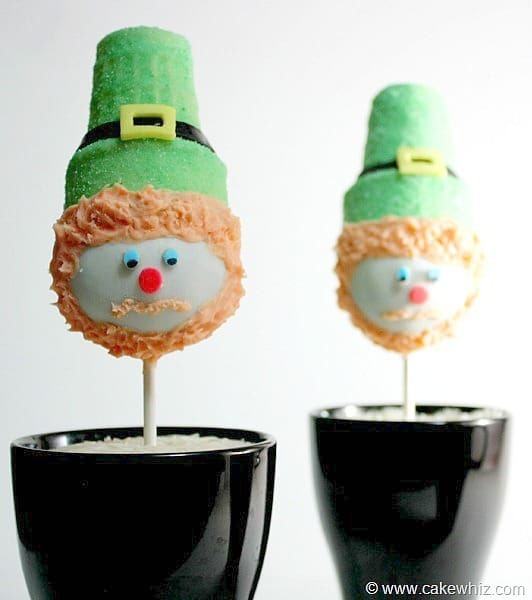 Check out these fun leprechaun cake pops by Cake Whiz! Thank you to everyone who agreed to have their delicious work featured in this Moms & Munchkins post. Remember to stop by our St. Patrick’s Day page for even more fun ideas for food, drinks, freebies and more! We’re always adding ideas for family fun. Never miss an update by following us on Facebook, Twitter, Pinterest, and Instagram.